Hiya guys! How's it going today? 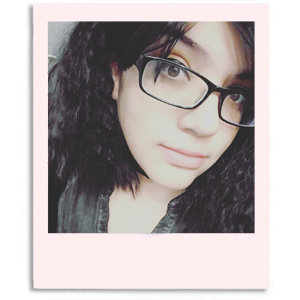 I had a very exciting weekend, because I once again went down to Paramus and spent the day at the Garden State Plaza. When I say that this mall is huge, it's kind of an understatement. But this trip wasn't all just fun, there was also some polish business to attend to! 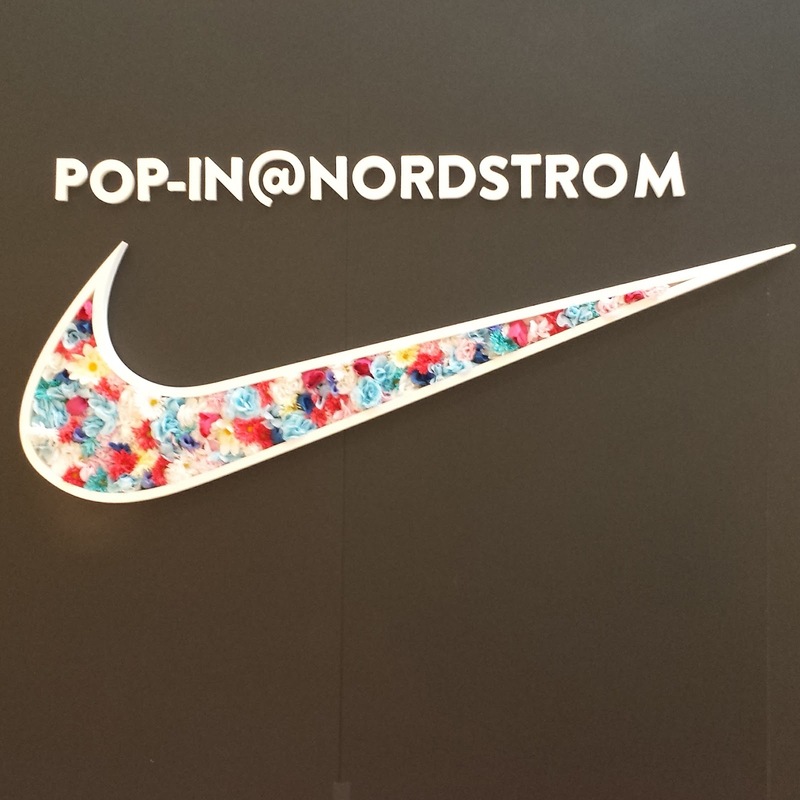 Those of you that follow me on Instagram might have seen me post about Nordstrom once again joining forces with Cirque Colors for this months Pop-In theme. The Nike Women Pop-In Collection by Cirque Colors brought to you by Nordstrom has three cremes and three LE shimmers. These will be available exclusively on Nordstrom.com or in select stores (you can find the locations at the bottom of the post). Once sold out these will not be restocked so grab them while you can! 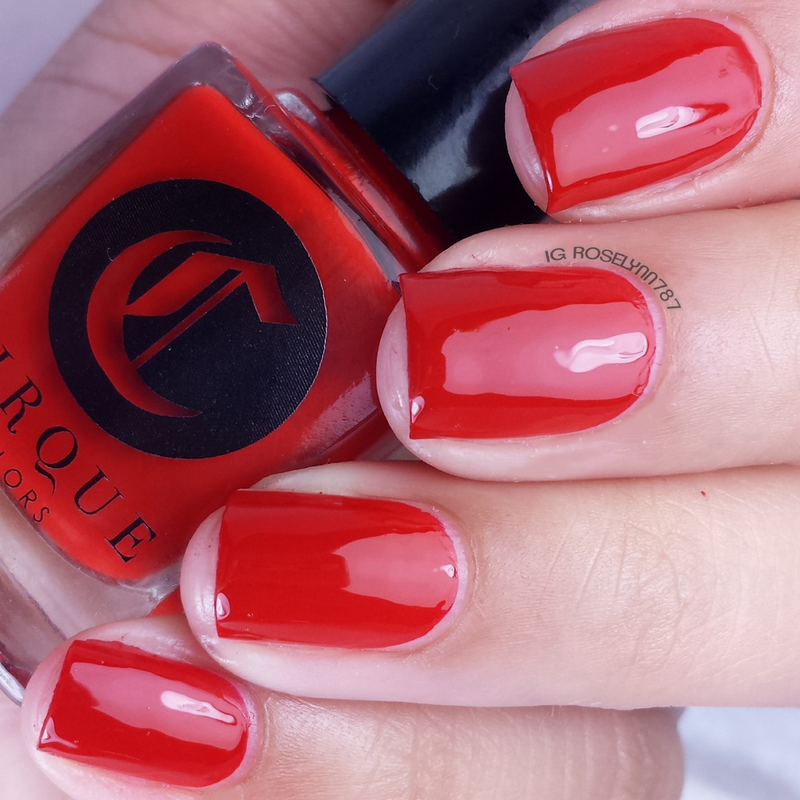 Inspired by bright hues, textures, and patterns, Cirque Colors has put together a special release that re-introduces some of their most coveted limited editions paired with our bright feminine cremes. Go ahead—flaunt a color that is as bold and as strong as you are. 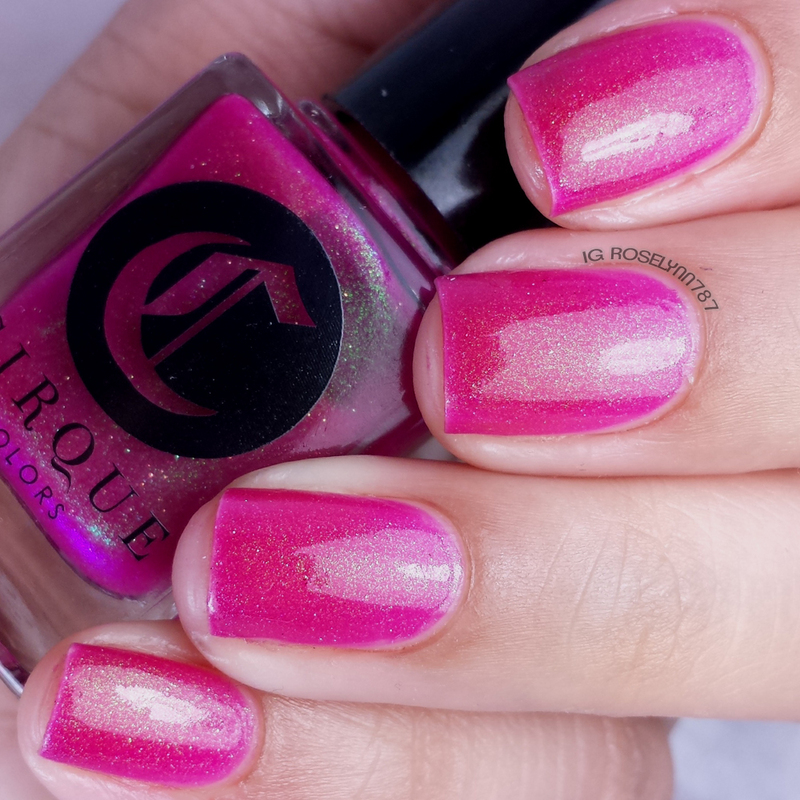 Dear Dahlia is fuchsia jelly with multi-dimensional shimmer. Simply gorgeous color, probably my favorite among the three shimmers in fact. I can see this being a must-have for the summer. Fantastic formula and consistency, not too thick or too thin with each coat. I probably could of gotten away with two, but I went ahead with three thin coats for these swatches. 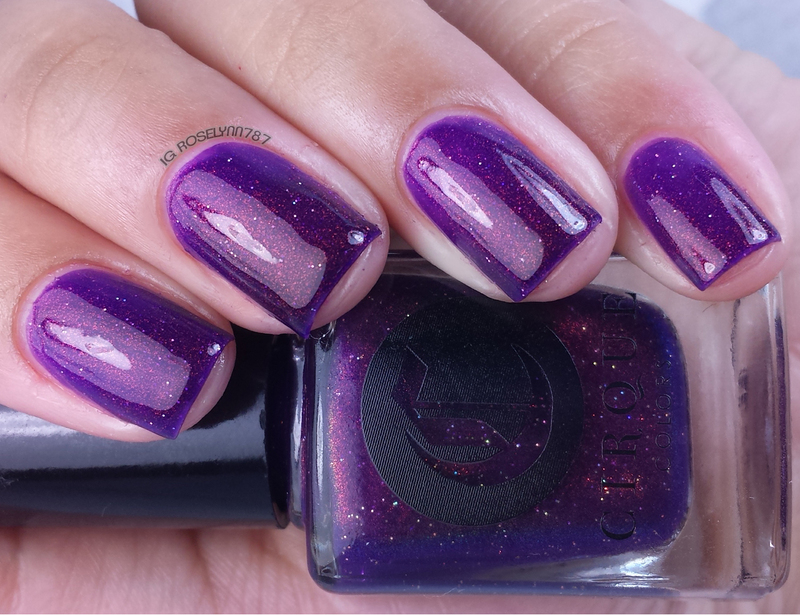 Coronation is purple jelly with multi-dimensional shimmer. I love how squishy this one looks and the deep color is stunning as well. Very suiting for my skin-tone. It has the same great formula as Dear Dahlia and gave me no issues applying. 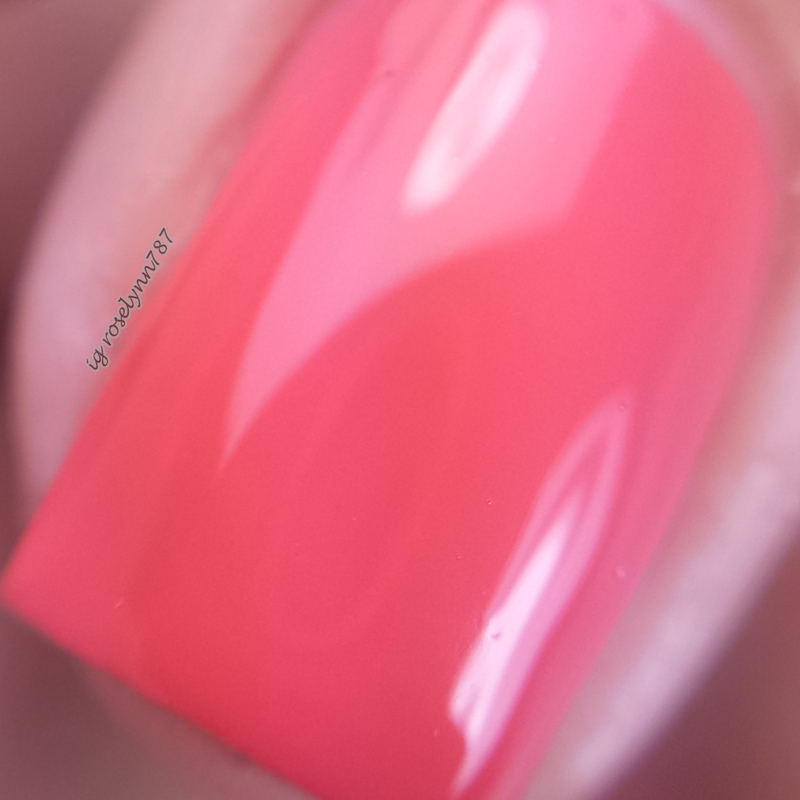 Swatched here using two thin coats and sealed in with Seche Vite topcoat. Thicker Than Water is turquoise jelly with multi-dimensional shimmer. Let me just say the color for my swatches is a little off, in person you'll find this leaning more towards a green tone. Very tricky color to photograph, but it's truly a sight to see. 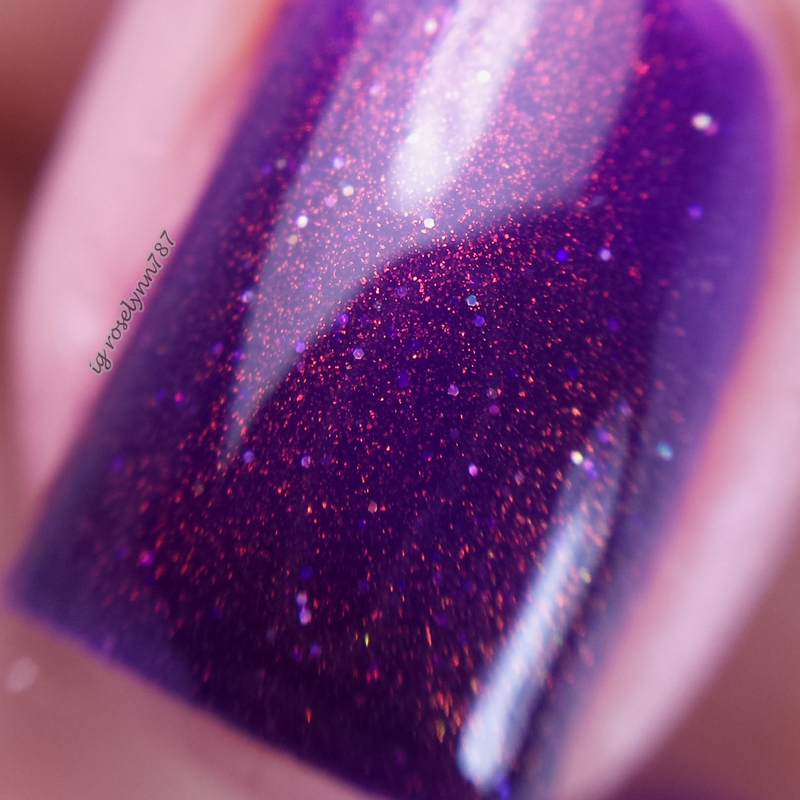 Formula and consistency were spot on like the rest of the shimmers in this collection. Smooth and even application throughout. Swatched here is two thin coats sealed in with Seche Vite topcoat. 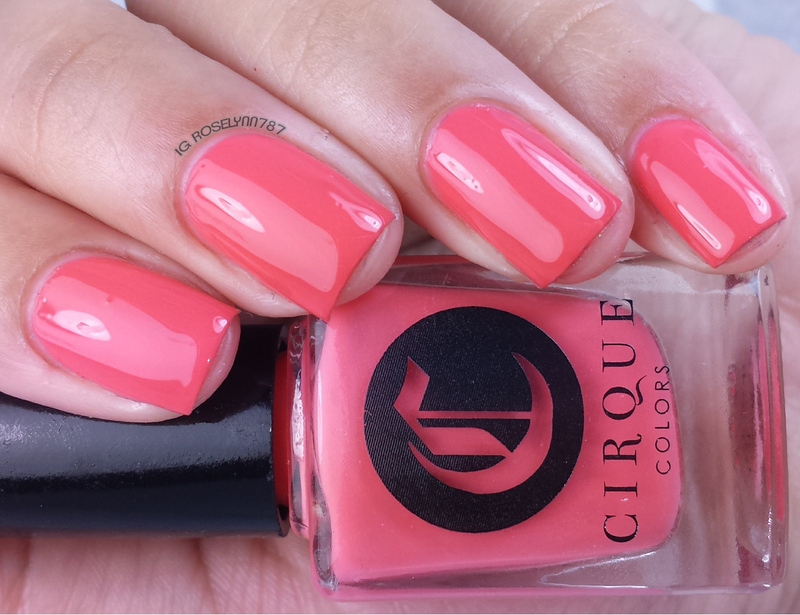 Sunset Park is a bright coral creme. This is another that didn't photograph exactly how it is in person, the color coral always tends to be off against my skin-tone. It's a lot more peach orange toned in person. It's unfortunately the one color I can never feel comfortable wearing personally, but it's stunning on lighter skin-tones. Formula was very good and applied evenly on the first coat. Swatched here are two thin coats followed by Seche Vite topcoat. 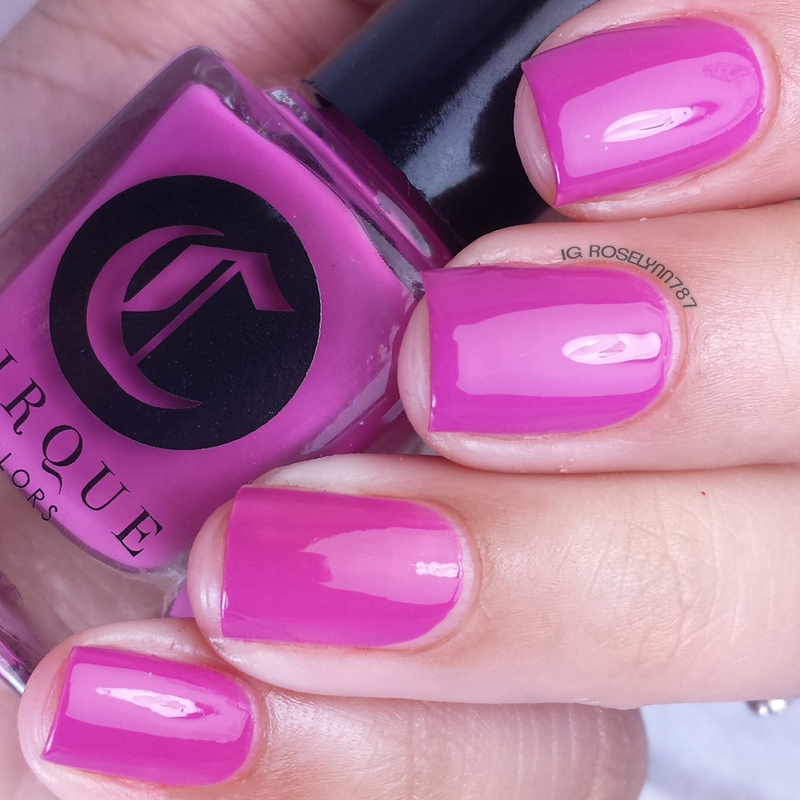 Vigo is a orchid pink creme. I'll be honest and say I was not expecting to like this shade as much as I did after putting it on. It's one of those colors that seem 'boring' in the bottle, but man does this come to life when you're wearing it. The formula was fantastic on this creme polish, almost a one coater! Very opaque and nice all around. For these swatches, I used two thin coats and sealed them in with Seche Vite topcoat. Doyers is a cherry red creme. Now this is a color I can rock like no other! The consistency felt a little bit runny without being thin, if that makes sense. 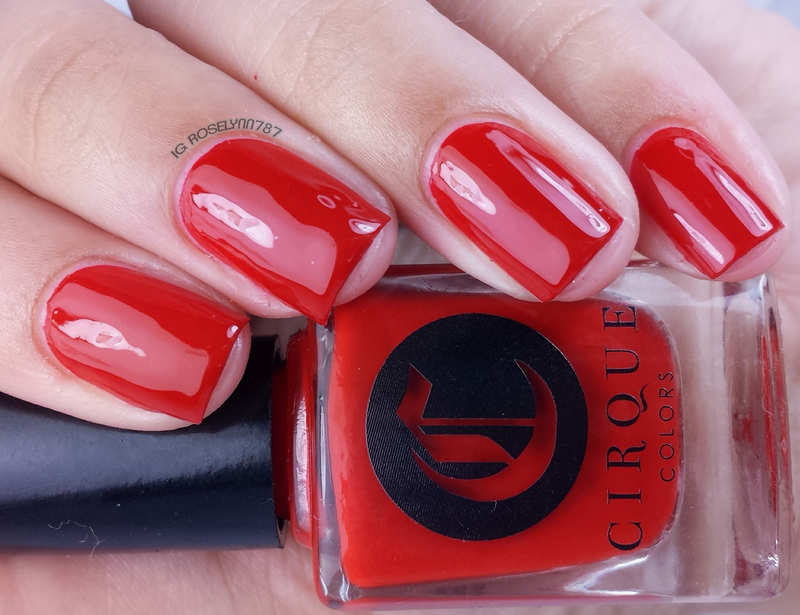 Still a good formula for the most part, just have to apply very thin coats to avoid any cuticle flooding. 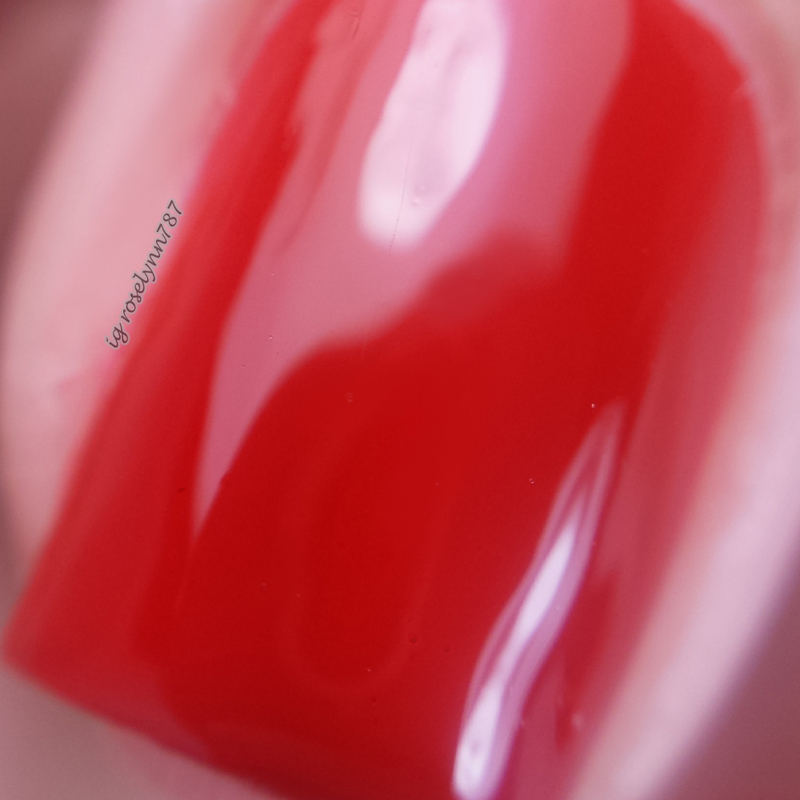 For these swatches, I used two thin coats and sealed them in with Seche Vite topcoat. Overall every one of the shades is a must-have in one way or another. I was not expecting to be as blown away as I was with the shimmers (which are limited edition). Each shade during this special release retails for $13 each and once sold out will not be restocked. I definitely recommend these to you guys, you won't be disappointed no matter the shade/finish you chose to go with. Now on to the Pop-In display at the Normstrom in Paramus Garden State Plaza! So not what I was expecting when I walked into Nordstrom! The part that threw me for a loop was the fact that the entire area was in closed quarters this time around. Last time everything was loud, out, and open but this time around the vibe was much different. I'll admit that for a second I had a sinking feeling at the pit of my stomach, because I had the date wrong hehe. 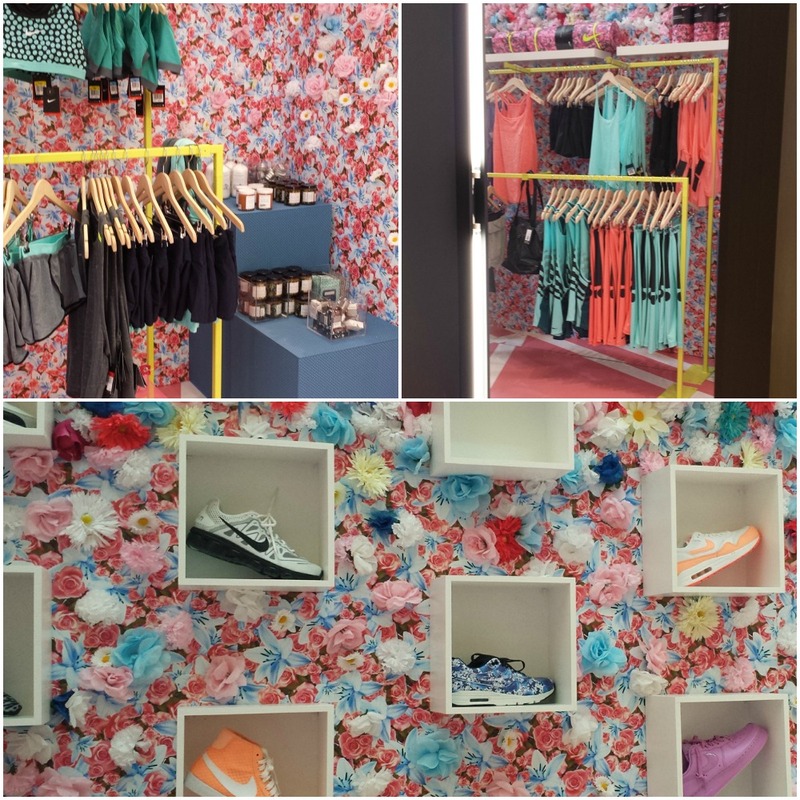 Inside this closed off section was what I can only describe as a floral paradise of active-wear. So many flowers! And the coloring of everything looked like an Instagram filter, very chic and beautiful. I love colorful sneakers and was absolutely drooling over those lavender-pink ones on the right there. But where's the Cirque Colors display?! Unfortunately, there was no actual display like the last time to showcase these beauties. Instead they were at the bottom of the wooden stand. To be honest, this part of the display felt a little unfinished. Like they ran out of flowers and wallpaper, because it was seriously just a plain wooden crate. If you end up going to the store, seriously give the area a good look because otherwise you might end up passing right by these without noticing! Now available through May 24th online at Nordstrom.com and the following retail locations. Free shipping and free returns is always available at Nordstrom.com. So what do you guys think about the shades released by Cirque Colors? If you live by any of these locations will you be stopping by? I love all of those colors. 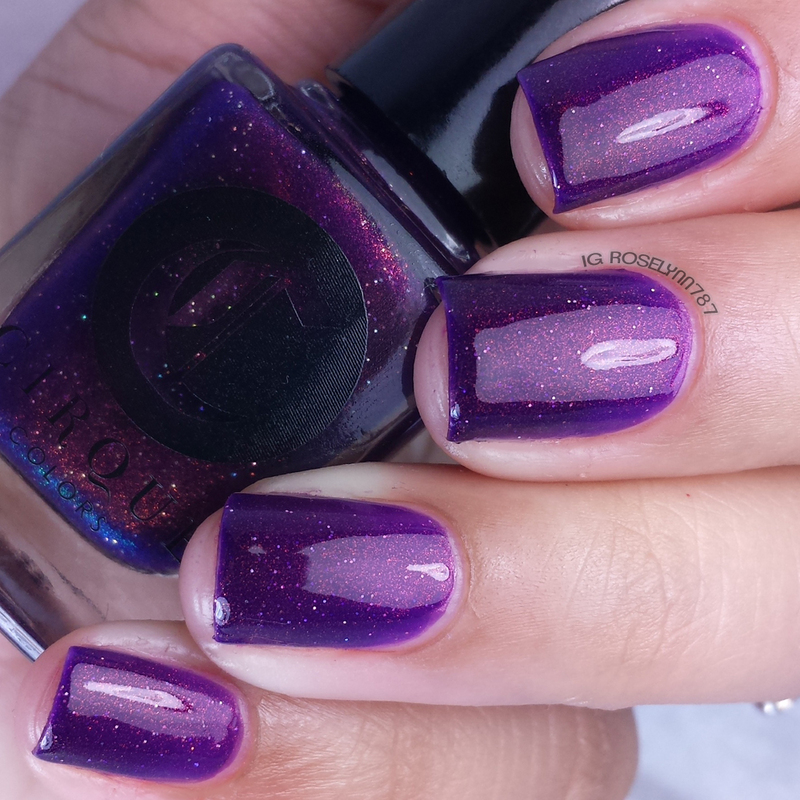 I am big time in to purple on my nails lately, but I love anything that stands out really. That polish is gorgeous! I really love that poppy red. It's sassy! Oh wow, I'd love one of each color because they look amazing on you. 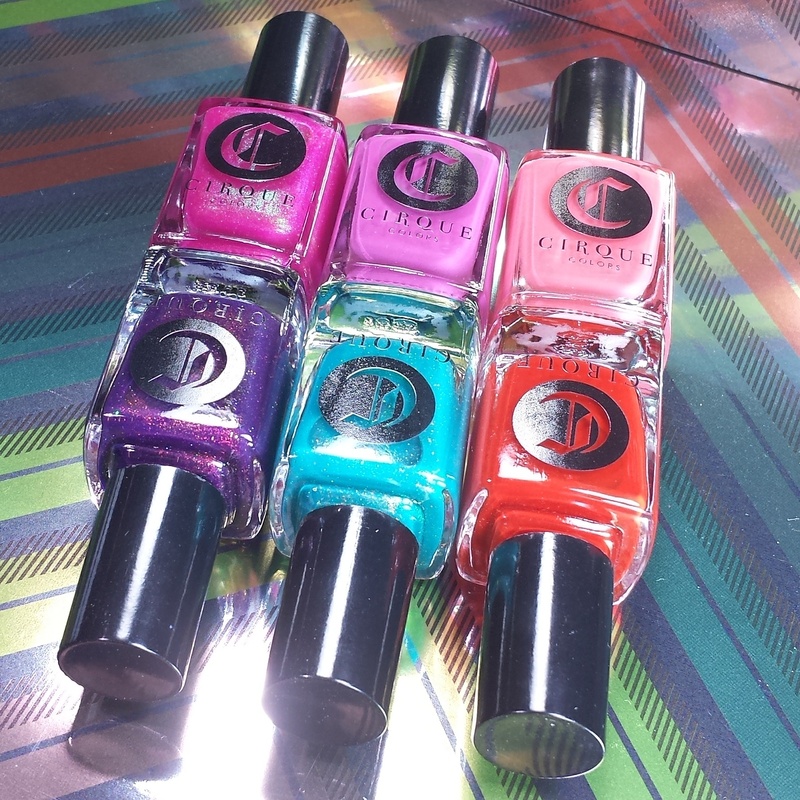 Thanks for sharing this brand and all of the wonderful vivid colors. 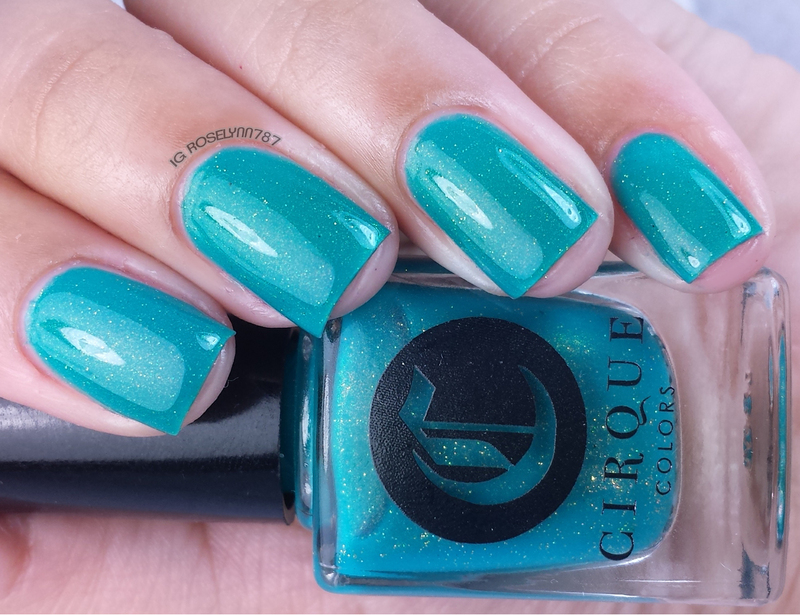 These Cirque colors are wonderful. I absolutely love that aqua color. It's lovely! Thicker than Water and Coronation make my heart super happy! I like the Sunset Park color. I even have a pair of OOFOS (flip flops) to match. All of these are so gorgeous! Coronation though, woah!! These colors are so beautiful! 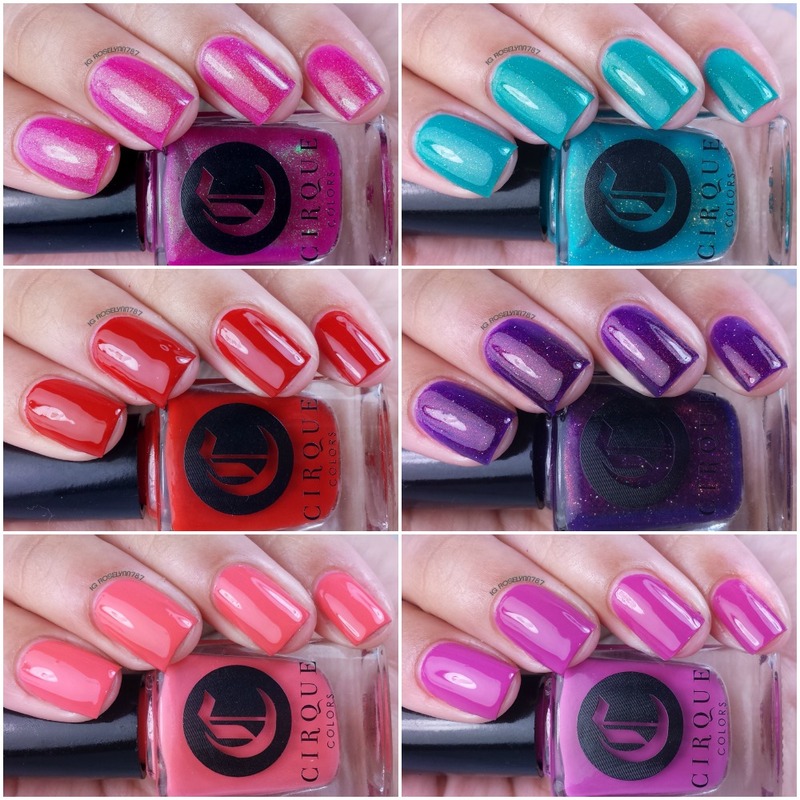 I've never heard of Cirque Colors before but would love to have the Sunset Park one!! What do I think of them? They are absolutely fabulous! 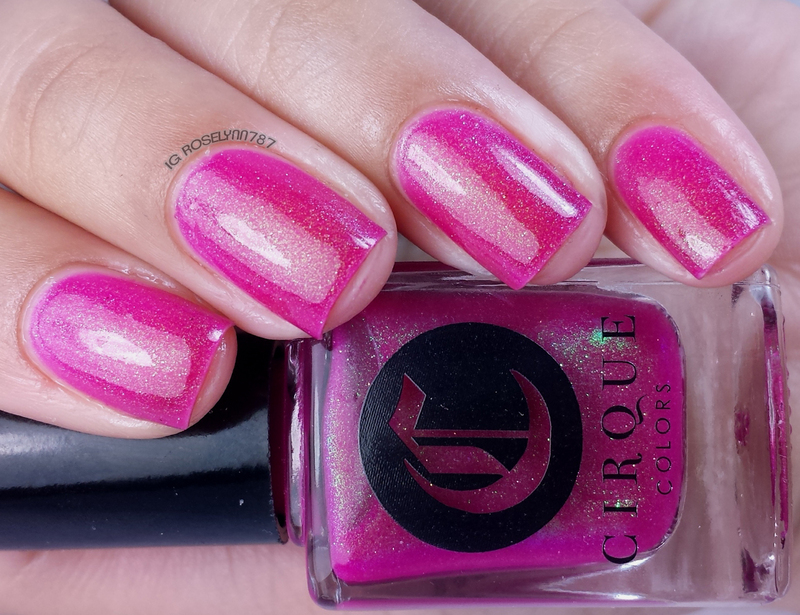 I have to admit that I have never used or heard of Cirque Colors before but I am really like the hues. Your post is amazing. I am so envious of your nails! Great swatches! Thanks for showing us the actual pop in shop and display too for those of us that can't make it to a store. :) Love Thicker Than Water and Coronation. Thanks for sharing. All of those colors are pretty but I think red is my personal favorite. I like the one's that sparkle too. I love that floral wallpaper at Nordstrom. Ugh! I've been wanting Coronation for FOREVER! It's great that she re-released it. Hopefully I can find it! I love Nike's color on their clothes and shoes. 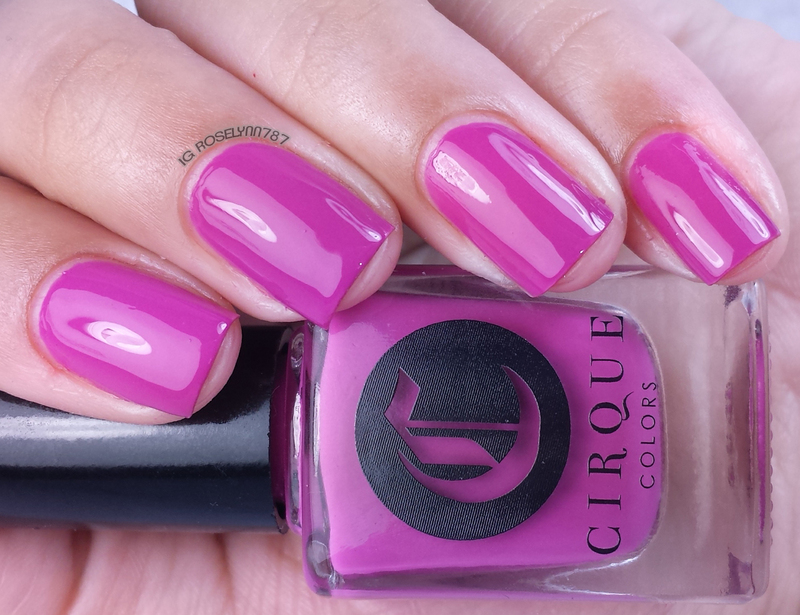 I have not seen this nail polish before I love the pink and purple! Coronation is on its way to me and I couldn't be happier! All of these polishes are so gorgeous! Ok, I need this collection in my life. The colors are so adorable! I want the blue waters! I normally only wear bold colors on my toes, but I think I'll take a walk on the wild side and add a pop of color to my fingernails. All of the colors are beautiful and that display at Nordstrom's is awesome! These are all so gorgeous! I want Sunset Park! I wish I could paint my nails as often as you do your nails! These are all gorgeous! The two shades of pink are definitely my favorite here. I love how shiny they are too. So many pretty colors. I love thicker than water. I'm always drawn to the teals. So pretty and my faves! So many cute options! I ordered coronation, it should be at my house today. I was so excited to be able to get it! Lovely swatches! I always look forward to seeing the colors you're going to share. I love the sunset park and doyers here. So pretty! Wow, these shades are all so gorgeous! Coronation is something I would wear mostly during the colder season but that turquoise and coral are so up my current taste! These are all so pretty but coronation made my jaw drop! These are beautiful. I don't live anywhere near any of these stores unfortunately. It looks like a cute display. 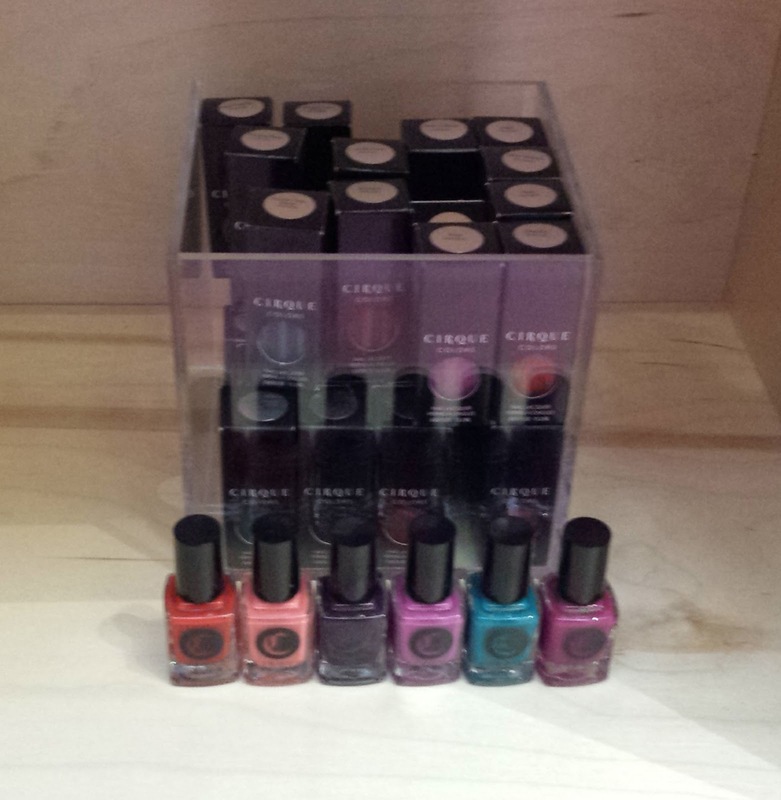 This is a gorgeous collection of nail colors. I love to polish my nails a few times a week. I love the Dear Dahlia color for spring. There are so many amazing colors out there. My nail polish collection is already huge, but I feel like I need these. These are all so very pretty! I have been letting my nails grow out in hopes of starting to wear some color too. Thicker Than Water and Dear Dahlia have been on my wishlist for awhile, so happy I"m able to get my hands on them! Oddly enough I think I'm the only person isn't in love with Coronation lol! I love all of these! I bought Coronation when it first released so I will skip it this time but will pick up those cremes on my next order. Wow. all are so pretty colors. I love all the colors but Thicker than Water & Sunset Park are my favorites. I should start growing my nails and try wearing polish again. Wow, such beautiful colors! I am torn between the purple and the turquoise. Even though I don't wear nail polish, I love seeing everything that is out there! I love purple the most! OMG, I love these shades. Especially the glittery ones. So pretty! I love the flowery goodness, but thats a bummer that the pretties were stuck in a crate underneath. They all look beautiful on you! That bright pink hue was so beautiful. I'd love to try that glitter shade though! Oh, I love Thicker than Water! 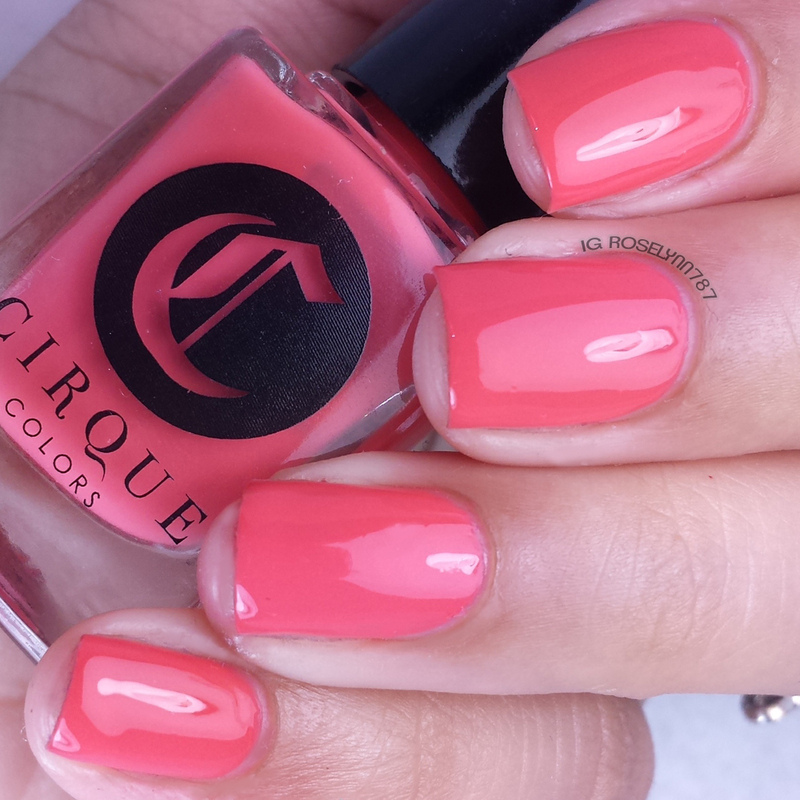 It's the perfect summer shade! The colors for these ones are stunning! I especially like Coronation! These are all so gorgeous! I'm really loving the shimmering shades! Beautiful swatches! They all look so good on you! Lucky girl! They are gorgeous! My bottle of THicker than Water just came today! I LOVE those bright colors!! They are perfect for summer!! I only wish I could grow my nails out like you...jealous! I can't pick which one I like best... I can say though, these would be perfect for all of my various moods! Would you be willing to sell Coronation to me? It would match my bridesmaid dress perfectly! I'd pay $40 plus shipping for it! No, I'm sorry I'm really attached to it. Perhaps you can get an indie shop to do a similar custom bottle for your special occasion.